BREATH FLOW THRIVE : The Sacral is not moving. The Sacral is not moving. Here is took some sticker sheet trash and placed it gently on my page. 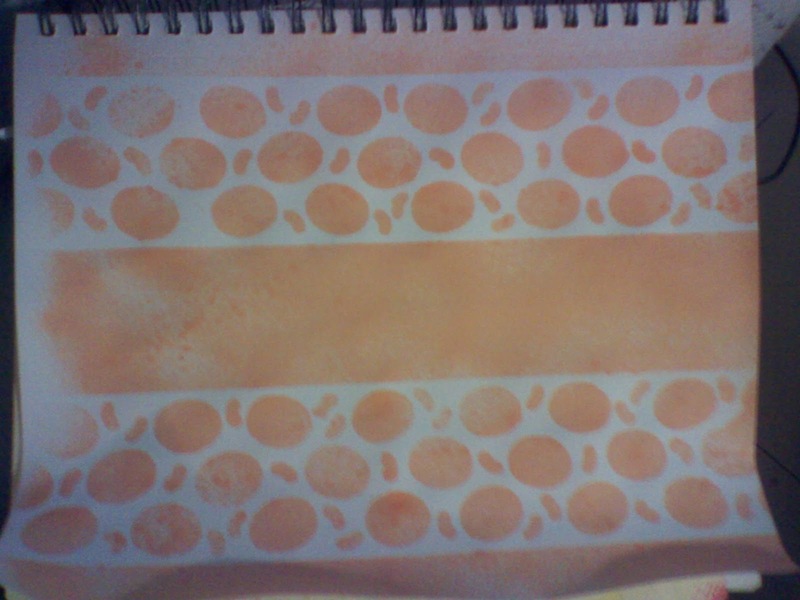 I then spray inked it with orange. The sheet was eggs and candy leftover from Easter. 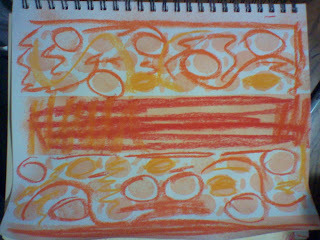 After the ink dried, I used my pastels to color in and brighten the page. 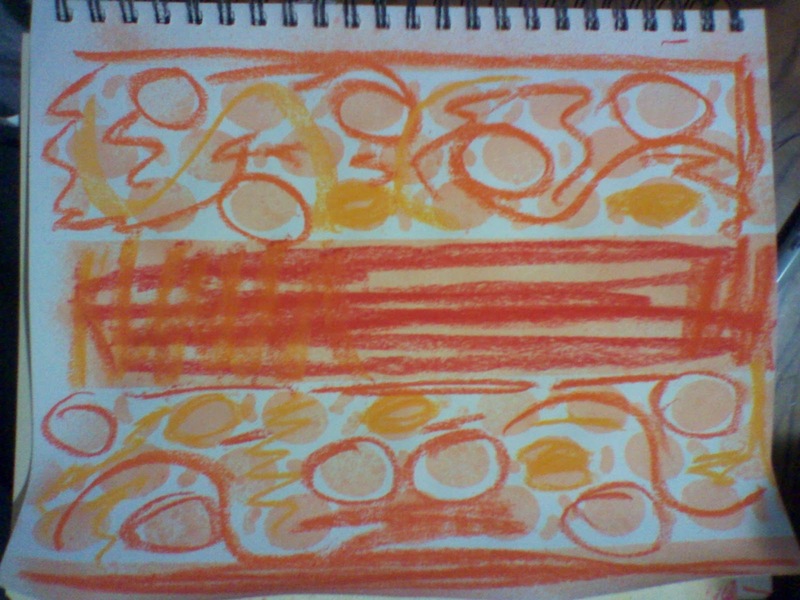 I used every orange in the pack and used the dark orange to accent. 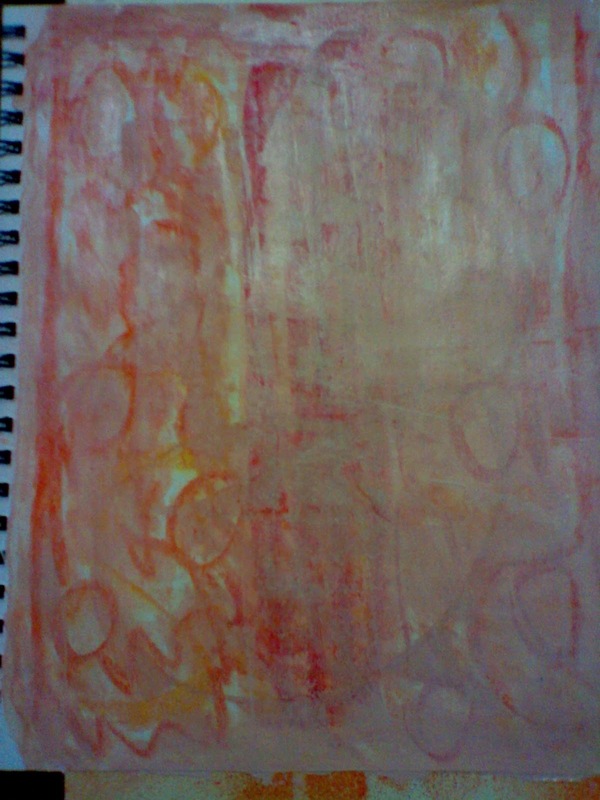 Then I took some peach acrylic paint and white gesso and scraped it up and down the page using an old credit card. I wiped off as much paint as I possibly could to show some of the design underneath. That's all I have for now. I am beginning to feel the slow down and at the same time nesting like crazy...nothing is clean enough. I've thrown out and given away most of all my clothes, shoes, the toys, and still feel like I have too much. I'm focusing on deep breathing as much as possible and doing visualizations of my birth. Not that I have any idea or image but I'm focusing on working with Elia for her arrival and that we be partners. I'm accepting and allowing for this expansion to occur. Thank you for hanging on. I hope you are doing well on your healing journey. Keep at it and try something new everyday. Love the idea of chakra journal - what a fun creative idea! I'm looking forward to following your posts. Thanks Barbara! I'm sort of working through it now. 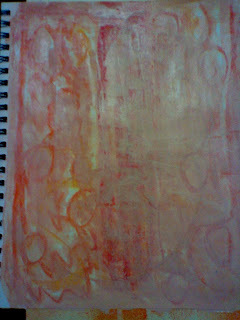 I finally finished the page and going on to Canvas of the Sacral. Thank you for following, and the feedback.